Welcome to the Sydney Russell School. I hope that our website gives you some insight into the vibrant, dynamic, ambitious, happy and successful community that we are. I hope it captures the positive atmosphere and ethos of our school, a place where young people are allowed to develop and learn in a safe and stimulating environment. 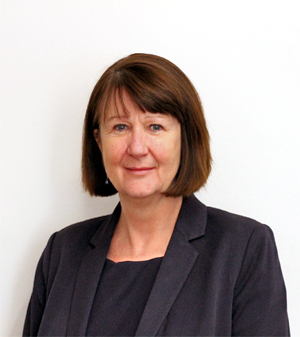 I am Janis Davies, the Principal of Sydney Russell, a school I have worked in for many years and one I am proud to lead. I feel totally privileged to be the Principal of such a wonderful school community. I can confidently state that there is something very special about Sydney Russell. The community spirit is strong, the commitment of staff is absolutely exceptional and our young people are truly inspired and achieve great things as a consequence. We are all determined to do our best to be the best that we can be. We want Sydney Russell School to be a school to which parents would want to send their children and where children would be given the best chance of success. We are proud of what we have achieved. In 2013 an Ofsted inspection identified us as an outstanding school, at the time the only school in the borough to be rated outstanding under the new more demanding Ofsted criteria. We are a Teaching School which means we are accredited to train the teachers of the future and we are an “All Through School” which means we have students from Reception to Year Thirteen. We are both popular and an oversubscribed school. We are pleased with what we have achieved but we are a school that will never be complacent and that will continue to relentlessly drive for further improvement. Currency, Character and Culture best describes what we strive to give our young people. Students need qualifications, the development of academic achievement gives them currency. Be in no doubt that we are an academic school. We see our most important responsibility as ensuring that our young people leave with the best academic results possible. The single determining factor in how well a child will do at any given school is the quality of teaching. Our reputation as an outstanding school, as a teaching school, as a teacher training school and a successful and happy school attracts high quality staff. We appoint the best to ensure our children go from one outstanding teacher to another. Having said this, we are not an exam factory. We are a modern school with traditional values. Modern in so far as we have perhaps the biggest and best classrooms in the country: 32 computers in each room plus a visualiser and interactive boards; a media suite including a green room; a state of the art fitness suite; a sports hall ; two drama studios and a dance studio but also very traditional. Our students wear a uniform and we expect them to look smart. We insist upon the highest standards of behaviour from our student at all times, respect and courtesy are non-negotiable. Students are not allowed to disturb the learning of others and if necessary will be taken out of the classroom. Our staff work to develop character, to create curious, confident and independent learners. We create students who can persevere, collaborate and are resilient. We do not allow students to have an ‘I can’t do’ approach but look to instil an ‘I can’t do it YET’ attitude. The astronaut Jim Lovell, Commander of Apollo 13, made the following observation: “There are three types of people in this world; people that make things happen, people that watch things happen and people that just wonder what happened.” At SRS we do not educate our children to become a bystanders but to become people who make things happen and shoulder responsibility. We work to give them the skills needed to shape events in their own lives and the lives of others around them.